Health benefits of parsley! Parsley is green leafy plant with white flowers, native to the Mediterranean region. The aromatic leaves are flat or crinkly. The leaves are used as an herb, spice and a vegetable. The stem of parsley is too bitter and tough to use in most dishes. Raw or cooked parsley leaves have a mild to robust flavor. Use them for making soups, stews, salads, sauces, marinades, quiche, omelets, vegetable or meat dishes. Parsley is used as a garnish for food. Add parsley to juicing recipes. There are many ways to use parsley! Look for regular or organic parsley at your local grocery or farmers market. Always wash fresh parsley before eating. It last up to 2 weeks in the refrigerator. To extend its life, shake off excess moisture, wrap in paper towel and seal in plastic bag, then refrigerate. For longer storage time, remove the paper towel and place sealed plastic bag in freezer. Freezing fresh parsley ensures flavor all year! Dried parsley herb will last 1 - 3 years. Store it in a glass container in a cool, dark, dry place. CAUTION! Consuming large amounts of parsley can cause anemia, liver or kidney problems. Consume parsley sparingly. It doesn’t take much to enjoy its mild to robust flavor. Parsley oil is very strong. Never apply it directly to skin. It can cause skin reaction or even a topical burn. Mix it with a carrier oil like coconut, olive or almond to avoid skin reaction. Since it’s considered an antimicrobial, parsley oil is used for making soaps, detergents, perfumes and other hygiene products. It kills bacteria and odors. Fresh parsley is a great source of vitamins A, B6, B9, C, E and K! It’s a great source of minerals including: calcium, iron, magnesium, potassium, copper and manganese. It has anti-fungal and antibacterial properties. It is an antioxidant food! Free radicals attack the body on a daily basis. Antioxidants protect cells from unstable molecules, that cause free radical damage. Boost immune system, assist skin repair, strengthen blood vessels, reverse skin discolorations, reduce wrinkles and protect against sun damage with antioxidants! Antioxidants help you live a healthier life! 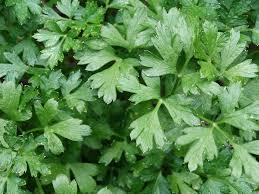 Rinse face, daily, with mixture of finely chopped fresh parsley and water. Gently pat dry. 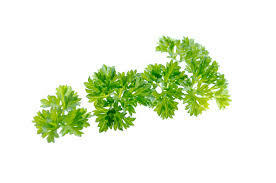 Rub fresh or dried parsley leaves on insect bites. Mix finely ground parsley with a bit of lemon juice and honey. Apply to face. 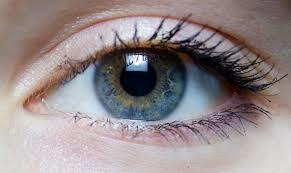 Avoid sensitive areas including eyes, ears, nose, mouth. Let stand a few minutes. Rinse well with warm water. Gently pat dry. 1 - Steep parsley in boiling water. Allow to cool. Use as an herbal rinse. 2 - Grind fresh parsley. Mix with water to a fine paste. Apply to hair/scalp. Rinse well. Towel or cool air dry.